Smart manager for information collecting. 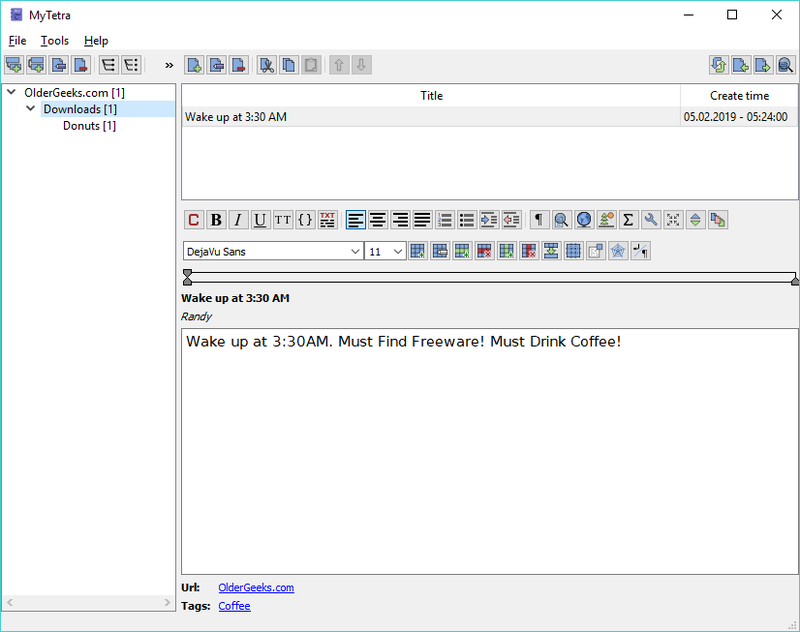 MyTetra is a full-featured, open source, cross-platform note manager (PIM-manager) used to collect and accumulate various kinds of information. All entries (notes, articles) are organized in a tree structure, as well as supplied with keywords tags that allow you to quickly find the right entries. 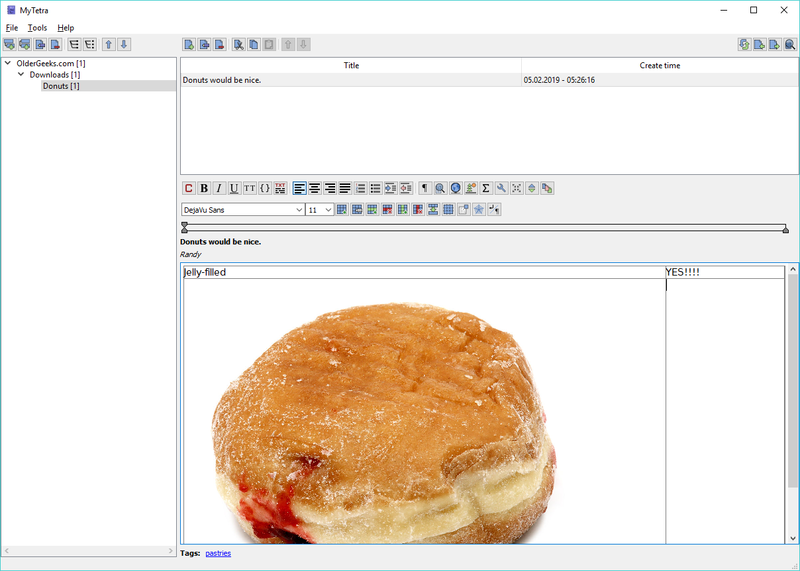 Links between records, attachments, encryption, detailed search, synchronization, copying from the browser, one of the best visual WYSIWYG text editors - all this is in the PIM-manager MyTetra. It is powerful program for data memorization and structuring notes. 165 315 Xintrea <img src="https://www.oldergeeks.com/downloads/gallery/thumbs/MyTetra2_th.png"border="0"> Feb 05, 2019 - 11:48 1.44.31 16.22MB ZIP , out of 1 Votes.